Hairstyling, colouring, brushing at Condom in the Gers. 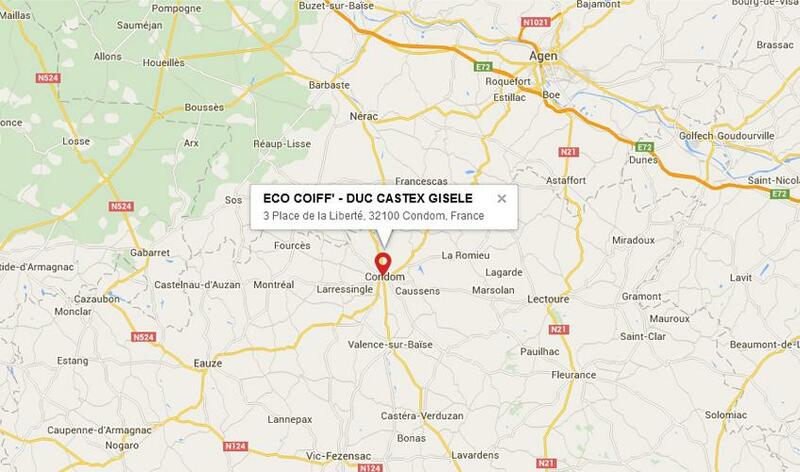 Welcome to ECO COIFF', a unisex hair salon in Condom. Looking to get a new look? ECO COIFF' offers haircuts, colouring, NIOXIN range care, perms, bleach, highlights and brushing services. I will advise you in choosing your new hairstyle and on how to look radiant on your wedding day with our wedding hairstyle package. I am always attentive to your needs to help you get the best look for any event. Visit our hair salon from home!!!!! Original and Unique in Condom! !